Are There FHA Loans for Investment Properties? This is a common question, and at first glance, FHA loan rules do prohibit using single family FHA mortgages to purchase investment real estate. But much depends on the buyer’s definition of investment property compared to the FHA view. October 3, 2018 - Are there FHA home loans for investment properties? This is a common question, and at first glance, FHA loan rules do prohibit using single family FHA mortgages to purchase investment real estate. But much depends on the buyer’s definition of “investment property” compared to the FHA view; what some might consider an investment does not necessarily equal what the FHA considers an investment property. What’s the difference? Basically whether the owner occupies the property secured with an FHA mortgage. There are nuances, yes, but the first hurdle to clear is the FHA occupancy rule-the purchaser obligated on the FHA loan (or at least ONE of the parties obligated on the FHA mortgage) must occupy the home within 60 days of loan closing. The second hurdle would be the borrower’s intent for the property. For example, FHA loan rules do not permit FHA single family mortgages for hotels, bed-n-breakfasts, condohotels, or other intermittent-occupancy type property. FHA loan rules do not mention Air B-n-B operations by name or other “space sharing” or social sharing services, but it DOES prohibit the use of homes purchased with an FHA mortgage for renting periods (of the unused living units in the home the owner/occupier is not using) under 30 days. FHA home loans permit a borrower to buy a multi-unit property. FHA home loans permit the borrower to rent out the unused units in the property. FHA home loans do not permit the borrower to rent unused units of the property out for periods less than 30 days at a time. FHA loan rules specifically permit borrowers to act as landlords in the multi-unit home secured by an FHA mortgage. FHA loan rules permit (under qualifying circumstances) for the rental income from those units to be considered for verifiable income purposes when qualifying for the loan. Projected rental income is not guaranteed to be included in the borrower’s debt-to-income ratio for the loan. Additional lender requirements and/or state law may apply. FHA loan rules do not override lender standards / state law where applicable. An investment property the borrower does not reside in is not allowed under the FHA single-family loan program. A non-residential purchase is not possible with an FHA single family mortgage. A mixed-use building may be purchased with an FHA mortgage as long as the borrower agrees to occupy the property as her home and the non-residential use of the home is subordinate to the residential use of the property and does not exceed FHA limitations (residential use versus non-residential use percentages of the floor space). 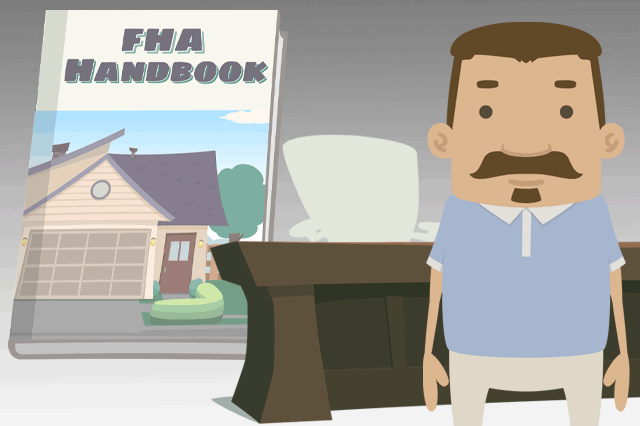 Ask your lender about FHA loan rules in this area and lender requirements where applicable.